You are able to amend the boxes on the VAT return by doing a VAT journal. 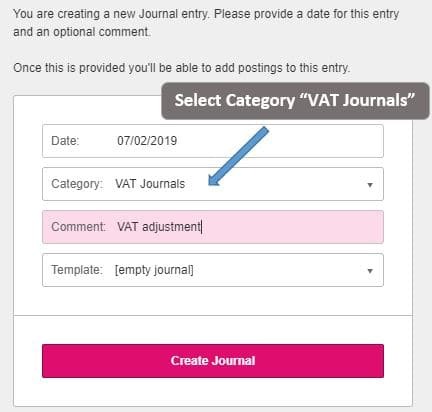 You can only create a journal for Input VAT or Output VAT adjustments separately, if you need to update both areas then you will need to create two journals. When you create the journal and enter the line for Input VAT or Output VAT, any other nominal’s on that journal which have a value on the same debit or debit side will be updated on the VAT return. In the below example, as Input VAT is entered on the Debit only. Only other nominal lines on that journal that are on the debit side also will appear on the VAT return. Below are other examples of how to enter the journal and which boxes will be effected on the VAT return.